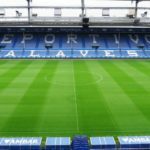 Here you will find some of the best games in Spain in the 2000’s featuring the top teams in a decade that was refreshingly open, particularly in the first five years of the new century when Depor and Valencia were arguably bigger overall forces than Real Madrid or Barcelona. The period also witnessed the emergence of the likes of Villarreal and Sevilla as top sides and there were some truly amazing games. The video quality isn’t brilliant on some of these but may be improved by clicking on the settings and increasing the number of pixels. Feel free to contact us or connect on twitter if you find better footage of any of these games or have other suggestions for epic matches from the 2000’s. Note the Copa del Rey, European and Clásico matches will be featured elsewhere. All these matches were in La Liga. Stand by for an outrageous piece of skill from Djalminha and well, some pretty shambolic Real Madrid defending. Fernando Hierro does not look remotely amused as Super Depor put in a performance for the ages at the Riazor. It was a big step in the direction of their first ever league title in the remarkable 1999-00 season. This was only Villarreal’s second season in the Primera Division. 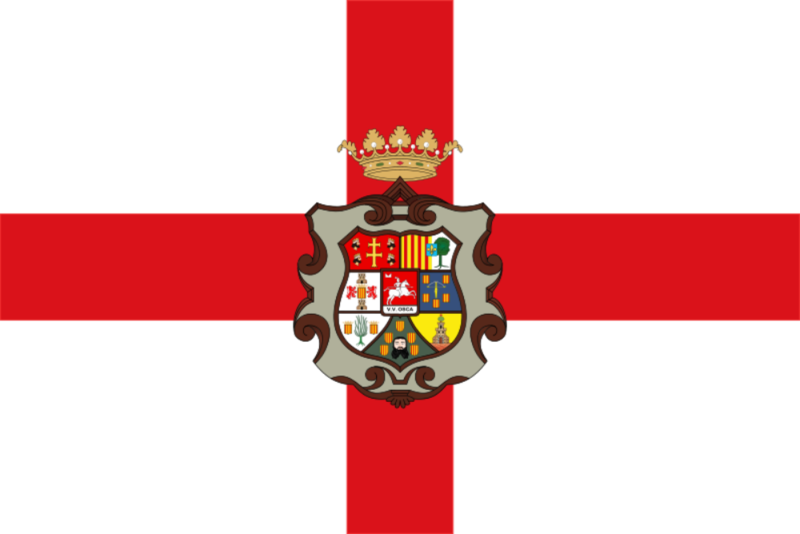 To put things in perspective, they’d been in the 4th tier only ten years earlier and this is one of those matches where their early identity as a new force to be reckoned with in Spanish football was formed. The quality of the footage isn’t great but look out for Pep Guardiola setting up goals at both ends of the pitch. Future Villarreal boss Javi Calleja is also a scorer in this game. Almost certainly the best individual performance in a decade when almost all of the world’s superstars plied their trade in Spain at some point or other. It’s not just the ridiculous quality of the goals from Rivaldo but the context of the game. This is the final match-day of the season and effectively it’s a play-0ff between Barça and Valencia for the final Champions League place. The visitors only need a draw and they appear to be getting it until Rivaldo does something truly extraordinary in the dying moments of the match and the season. First of all, look at the state of the pitch! It’s a wonder this went ahead at all given the rain-soaked conditions but this was one of the great performances from Galactico era Real Madrid as they tore into the defending champions at the Bernabeu. Look out for a masterclass in striking a football from Roberto Carlos and some pure Zidane brilliance to set up the game’s final goal. The 2002-03 campaign would end with the Galacticos claiming their only league title of the Frenchman’s five year spell as a Real player. This was the season of 5-1’s involving Mallorca and Real Madrid. That was the aggregate score in the islanders’ favour in a Copa del Rey Quarter-Final between the sides. Mallorca would go on to win the competition but they’d been beaten 5-1 by Real Madrid at home in La Liga. However they gave the Galacticos of Roberto Carlos, Luis Figo and Ronaldo an afternoon to forget later in the 2002-03 campaign, coming from 1-0 down to thump Los Blancos with Samuel Eto’o coming back to haunt his old club. 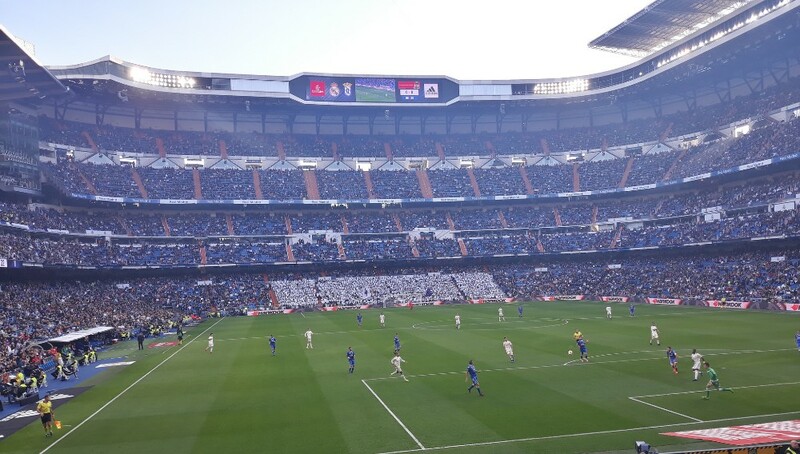 Amazingly this was Real Madrid’s only home league defeat of a title-winning season. 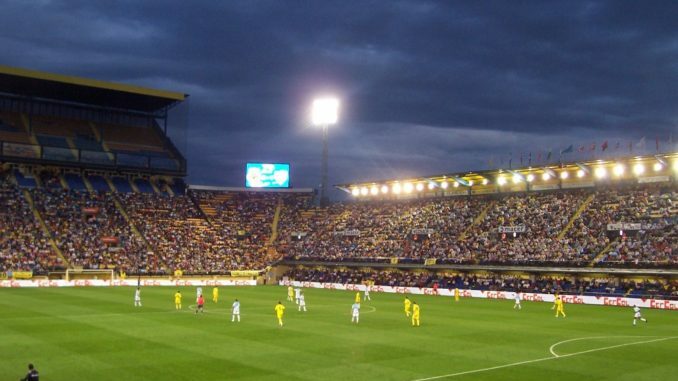 A Barcelona defeat in Vigo and another Mallorca win at the Bernabeu the previous day meant Valencia could win the 2003/04 title on match-day 36 and they did just that by sealing a 2-0 triumph at the Ramon Sanchez Pizjuan. 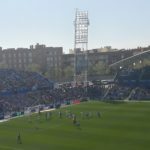 The Sevilla public showed their appreciation as Rafa Benitez’s side won the title for the second time in three seasons. We head to a rain-soaked Bilbao and the old San Mames for the next one. A Betis side, in the midst of one of their best ever seasons, race into a 3-0 lead with a youthful Joaquin among the scorers. Ernesto Valverde, in the first of two spells as Athletic boss, looks thoroughly miserable on the touchline but his mood is soon improved by one hell of a comeback from the Basque giants. To a controversial Seville derby now. Sevilla were brilliant in the 2006-07 season and may well have won the title were it not for their cup commitments. With Dani Alves starring and Frédéric Kanouté scoring twice, they edged out their city rivals in this one and they’d ultimately only miss out on the league title by 5 points. 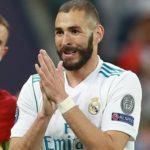 La Liga has thrown up its fair share of dramatic final day finishes down the years and the 2006-07 season concluded with Barcelona and Real Madrid competing for the title on match-day 38. Los Blancos needed a win to seal it but with 25 minutes to play they trailed 1-0 at home to Mallorca, who had become something of a bogey team. However Real Madrid staged a fine late comeback to clinch the title in David Beckham’s final game for the club. The Englishman was forced to leave the pitch through injury but his replacement José Antonio Reyes was the star with two goals. Real weren’t brilliant this season but won the Primera Division by virtue of a superior head-to-head record having had the better of that season’s clasicos. For this one, we rewind to a time when Atlético Madrid didn’t know how to defend. This was early on in Pep Guardiola’s first season in charge at Camp Nou and the first major sign that Barça were on the brink of something very special under his stewardship. Sergio Aguero lined up for Atlético Madrid that day but he was a virtual spectator for much of the game as Barça poured forward in waves and raced into a commanding lead. 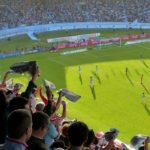 Looking for more Spanish football videos – Check out these derby day documentaries. 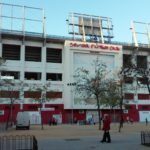 La Liga Match Day 24 Review – The Title Race is off again!